The meaning of Adrie is 'From the Adriatic.' The name Adrie comes from the Dutch origin and is prima.. The meaning of Aleena is 'A form of Aleene.' The name Aleena comes from the Dutch origin and is prim.. The meaning of Aleene is 'Alone.' The name Aleene comes from the Dutch origin and is primarily given.. The meaning of Allene is 'A form of Aleene.' The name Allene comes from the Dutch origin and is prim.. The meaning of Alyna is 'A form of Aleene.' The name Alyna comes from the Dutch origin and is primar.. The meaning of Anki is 'Dutch form of Anne.' The name Anki comes from the Dutch origin and is primar.. The meaning of Anneka is 'A form of Hannah.' The name Anneka comes from the Dutch origin and is prim.. The meaning of Annemie is 'Bitter grace.' The name Annemie comes from the Dutch origin and is primar.. The meaning of Anouk is 'A familiar form of Anna.' 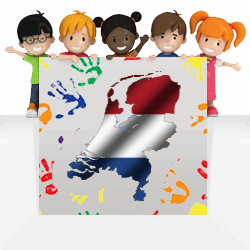 The name Anouk comes from the Dutch origin and is.. The meaning of Betje is 'Devoted to God.' The name Betje comes from the Dutch origin and is primaril.. The meaning of Brande is 'A form of Brandy.' The name Brande comes from the Dutch origin and is prim.. The meaning of Brandee is 'A form of Brandy.' The name Brandee comes from the Dutch origin and is pr.. The meaning of Brandi is 'A form of Brandy.' The name Brandi comes from the Dutch origin and is prim.. The meaning of Brandie is 'A form of Brandy.' The name Brandie comes from the Dutch origin and is pr.. The meaning of Brandis is 'A form of Brandy.' The name Brandis comes from the Dutch origin and is pr.. The meaning of Brandy is 'An after-dinner drink made from distilled wine.' The name Brandy comes fro.. The meaning of Dael is 'Small valley.' The name Dael comes from the Dutch origin and is primarily gi.. The meaning of Gnishilda is 'Gray battle maid.' The name Gnishilda comes from the Dutch origin and i.. 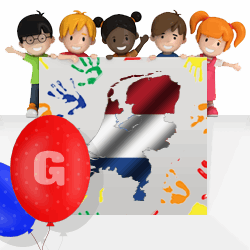 The meaning of Grietje is 'Little Girl.' The name Grietje comes from the Dutch origin and is primari.. The meaning of Griseldis is 'Gray battle maid.' The name Griseldis comes from the Dutch origin and i.. The meaning of Grishilde is 'Gray battle maid.' The name Grishilde comes from the Dutch origin and i.. The meaning of Gust is 'Feminine form of Gustaaf.' The name Gust comes from the Dutch origin and is .. The meaning of Hendrika is 'A form of Henrietta.' The name Hendrika comes from the Dutch origin and .. The meaning of Hester is 'A form of Esther.' The name Hester comes from the Dutch origin and is prim.. The meaning of Jette is 'Black as coal.' The name Jette comes from the Dutch origin and is primarily.. The meaning of Kaatje is 'Pure.' The name Kaatje comes from the Dutch origin and is primarily given .. The meaning of Katrien is 'Pure.' The name Katrien comes from the Dutch origin and is primarily give.. The meaning of Mahault is 'Dutch form of Matilda.' The name Mahault comes from the Dutch origin and .. The meaning of Marien is 'Variant of Mary: Bitter.' The name Marien comes from the Dutch origin and .. The meaning of Marika is 'A form of Mary.' The name Marika comes from the Dutch origin and is primar.. The meaning of Minikin is 'Dear, darling.' The name Minikin comes from the Dutch origin and is prima.. The meaning of Rozamond is 'Reknown defender.' The name Rozamond comes from the Dutch origin and is .. The meaning of Schyler is 'Sheltering.' The name Schyler comes from the Dutch origin and is primaril.. The meaning of Scyler is 'Sheltering.' The name Scyler comes from the Dutch origin and is primarily .. The meaning of Sibylla is 'Prophet.' The name Sibylla comes from the Dutch origin and is primarily g.. The meaning of Skyla is 'A form of Skyler.' The name Skyla comes from the Dutch origin and is primar.. The meaning of Swaantje is 'Swanlike.' The name Swaantje comes from the Dutch origin and is primaril.. The meaning of Sybylla is 'Prophet.' The name Sybylla comes from the Dutch origin and is primarily g.. The meaning of Trudel is 'A form of Trudy.' The name Trudel comes from the Dutch origin and is prima.. The meaning of Tryne is 'Pure.' The name Tryne comes from the Dutch origin and is primarily given as.. The meaning of Wigburg is 'Young.' The name Wigburg comes from the Dutch origin and is primarily giv.. The meaning of Jan is 'A form of John.' The name Jan comes from the Dutch origin and is a name given.. The meaning of Loris is 'Clown.' The name Loris comes from the Dutch origin and is a name given to g.. The meaning of Rikki is 'Variant of Richard.' The name Rikki comes from the Dutch origin and is a na.. The meaning of Schuyler is 'Scholar.' The name Schuyler comes from the Dutch origin and is a name gi.. The meaning of Skylar is 'A form of Schuyler, Skyler.' The name Skylar comes from the Dutch origin a.. The meaning of Skyler is 'A form of Schuyler.' The name Skyler comes from the Dutch origin and is a .. The meaning of Van is 'A short form of Vandyke.' The name Van comes from the Dutch origin and is a n..